French bed. Private bathroom with shower, accessible for the physically impaired. 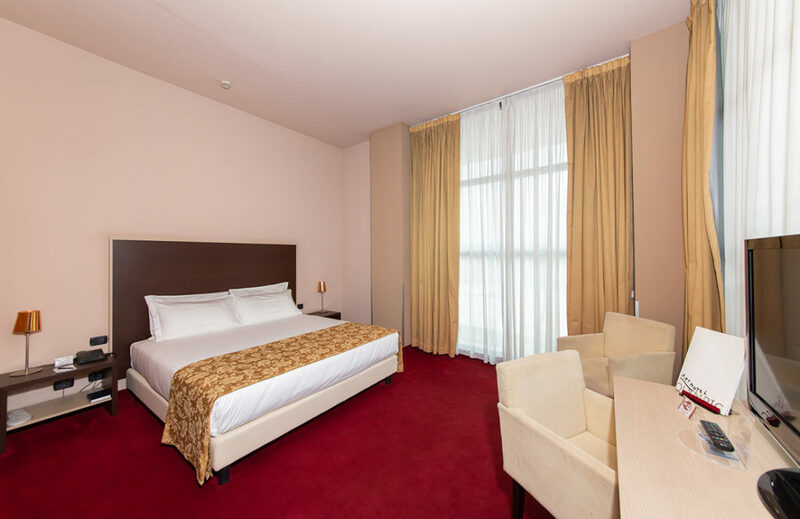 Hairdryer, air conditioning, LCD colour TV (32"), satellite channels and Mediaset Premium, safe, direct telephone line, high speed Wi-Fi internet access.